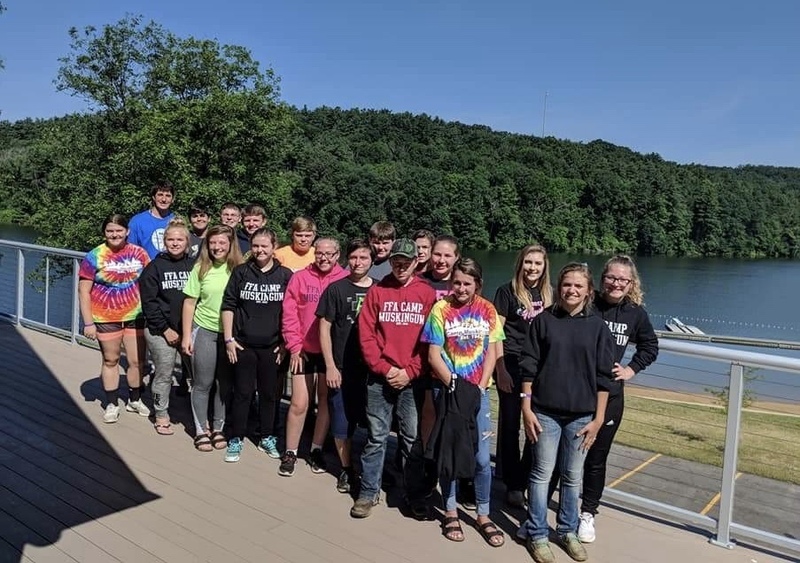 From June 25 to June 29, 20 Felicity-Franklin FFA members traveled to Ohio FFA Camp Muskingum in Carroll County to enjoy a week filled with amazing opportunities and summer activities. Throughout the week, FFA members had the chance to get to know this year’s new state officers through workshops, games, and more. During free time and “camptivities”, many FFA members spent their time kayaking, canoeing, paddle boarding, shooting rifles and shotguns, fishing, playing volleyball, tennis, basketball, and more. To earn points for their camp chapter, comprised of FFA members from across the state, students could participate in different activities, including sports, shooting, public speaking, and the “Polar Bear Plunge”, in which FFA members woke up early to swim in Leesville Lake. Over the five days spent at camp, members had plenty of opportunities to make new friends in their camp chapters through team building activities. Depending on their grade, some students were able to participate in special opportunities, like the Junior Overnighter and high ropes course for seniors. All grades, however, were able to enjoy countless activities at Ohio FFA Camp Muskingum. Image 1 Caption: 20 Felicity-Franklin FFA members attended Ohio FFA Camp Muskingum for the week of June 25. Image 2 Caption: From left to right: Emma Robertson, Luke Dunaway, and Natalie Brueggemann get ready for water activities.